With the advent of the laser as a coherent, narrow bandwidth wavelength light source, producing fringe patterns became relatively easy using laser interferometers in optical test setups. Due to the large temporal and spatial coherence of the laser source, interference can occur between any surface reflection and a reference beam, producing spurious fringes. Furthermore, scratches, dust particles and defects can cause diffraction ringing and other phase errors in the interference fringes due to the high spatial coherence of lasers. Less coherence is a good thing! By using bright, high power LED illumination, and engineered coherence with tailored temporal and spatial coherence, a new interferometer for testing plane-parallel polished surfaces can be used to produce clean interference fringes, and phase measurements to sub-nanometer levels. LED technology also eliminates laser safety issues, while providing high reliability for long lifetimes. The extended source from the LED reduces coherent noise from diffraction by dust and scratches and the broad wavelength range from the LED illumination system can be designed to reject spurious fringes from other surface reflections. OptoFlat utilizes an engineered coherence plane which is 90 mm from the interferometer's transmission flat and is 300 microns depth. Built-in proprietary PurePhaseTM technology combines data acquisition and phase processing to provide sub-nanometer precision in less than optimum environments. Use OptoFlat on the production floor without the extra cost of vibration isolation tables, extending the value proposition for our customers. Errors in phase measurement are minimized with OptoFlat measurements compared to vibration sensitive data acquisition phase algorithms. The InterOptics FlexFlatTM transmission flat includes a special coating which allows flexibility in measurement for a wide range of reflectivity with good contrast. Measure surfaces with reflectivity of 1% to 99.9% without needing extra accessories. No need to swap the transmission flat to measure uncoated or coated (or metal) surfaces. Measure parts with both coated and uncoated sections without masking. 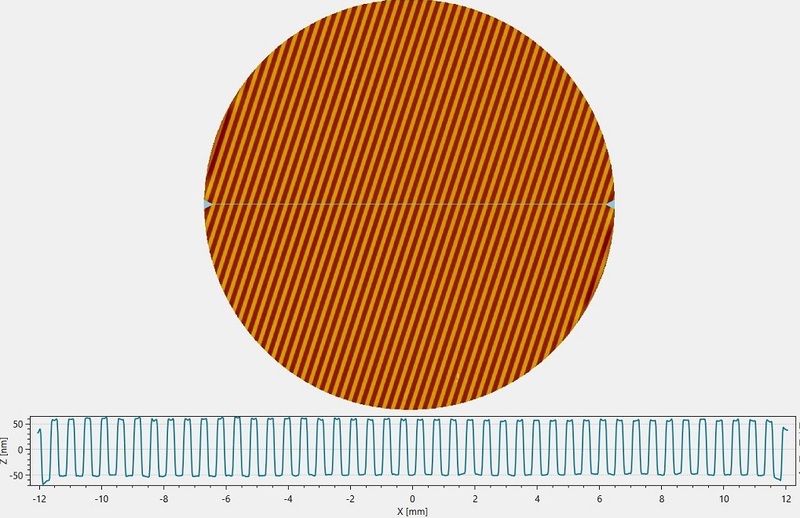 Laser interferometers have difficulties measuring plane parallel samples due to spurious backside reflection added to the front side reflected wavefront, creating confusing inteference patterns. Limiting coherence over a short region allows suppression of the spurious interference, producing fringes from only the surface under test. 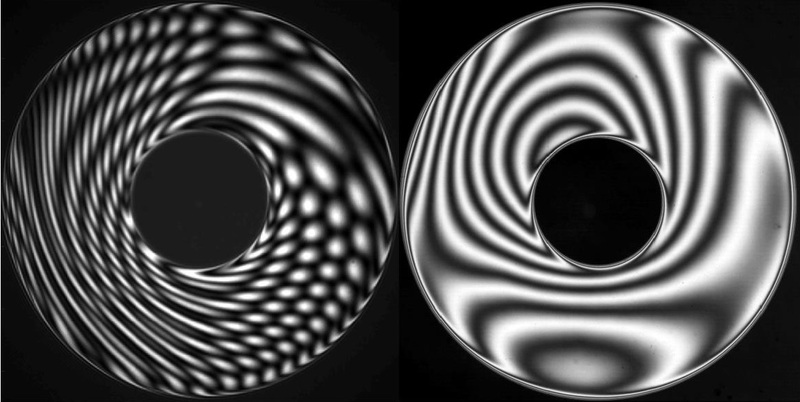 Point sources are spatially coherent, producing diffraction effects from dust, scratches and other obscurations when a wavefront interacts with an optical surface. This diffraction causes errors in the measurement. By using an extended source, the diffraction effects are eliminated, producing “clean” looking fringes.